John O’Reilly, owner of British Food Depot increased repeat orders from $69,690.00 to $296,585.00. Here’s the story of how John did it. British native John O’Reilly moved to the United States to marry his American girlfriend. After getting homesick and finding limited options for foods from back home, he smelled an opportunity. John ordered a pallet of his favorite British foods and decided to see if he could sell it online. Using Google adwords he generated $10,000 in orders that first Christmas back in 2008. Seeing the demand, John decided to get a full-time job while building his e-commerce business on the side. Since then British Food Depot has continued to grow and now has a staff of five. The grocery niche is extremely competitive. John’s competitors include giants like Amazon as well as brick and mortar stores that sell specialty British foods. In addition, importing food products involve customs regulations that have to be carefully managed or else the products are not released to John. On top of that, many of his products are perishable. The inventory of these items have to be carefully managed. Finally, the margins are very tight in the grocery business, leaving very little room for error. Although Google adwords was bringing a steady supply of new customers, the real profits are made when customers return to place repeat orders. So John always looked for ways to boost repeat orders and customer loyalty. He was already offering the lowest prices he could negotiate with suppliers. His customer service was also good. He wanted to offer free shipping but since grocery products are comparatively heavy, it was not economically feasible to do so. John looked for other ways to boost repeat orders. He sent newsletters and promotions. It helped but took time to put together. He then decided to offer a rewards program. The rewards program helped. A few years later, John moved his website to the BigCommerce shopping cart. He also moved to a new rewards app called RewardCamp. RewardCamp was different from other loyalty apps because it focuses on providing a great customer experience. It makes it easy for customers to earn rewards. 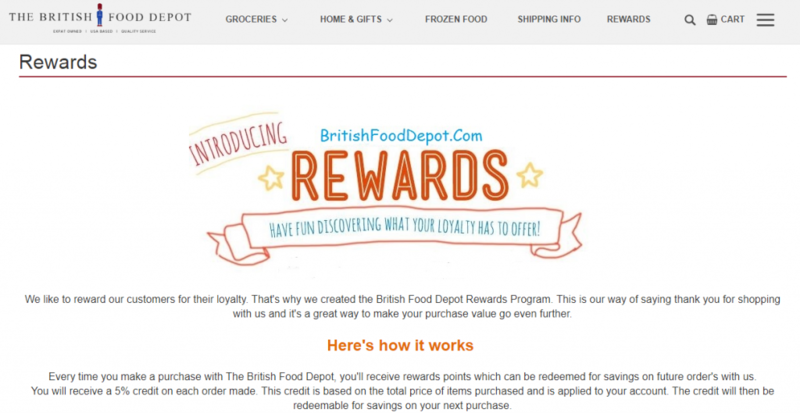 When customers easily earn rewards, they are more likely to return and place the next order. RewardCamp also makes it easy for the customer to use their rewards. It automatically adds the reward to the shopping cart during checkout, so that the customer does not have to. Finally, RewardCamp focuses on issuing rewards in the form of store credit instead of a coupon code. This makes it easier for the retailer. To the customer, this is like getting free money. It incentivizes them to return for the next order. But offering rewards is not enough. The problem is that customers forget about their rewards. So John setup RewardCamp to remind customers on the 1st of every month. The reminder is sent only to those customers who have unused rewards. These reminders have proven very effective in getting customers to place new orders each month. 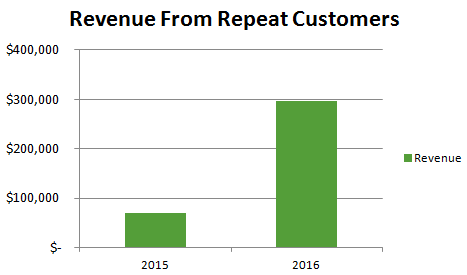 As a result of these steps, John was able to increase sales from repeat customers. It went from $69,690.00 in 2015 to $296,585.00 in 2016.